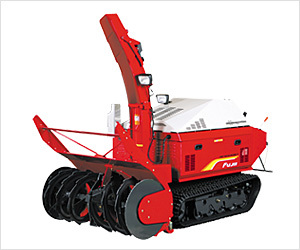 The track rollers of large- and medium-size machines are supported at both sides to ensure. You can engage the clutch with gripping 1)Loop handle, 2) HST lever or 3) Hydraulic lever. *All the diesel engines comply with the vehicle emission standard.